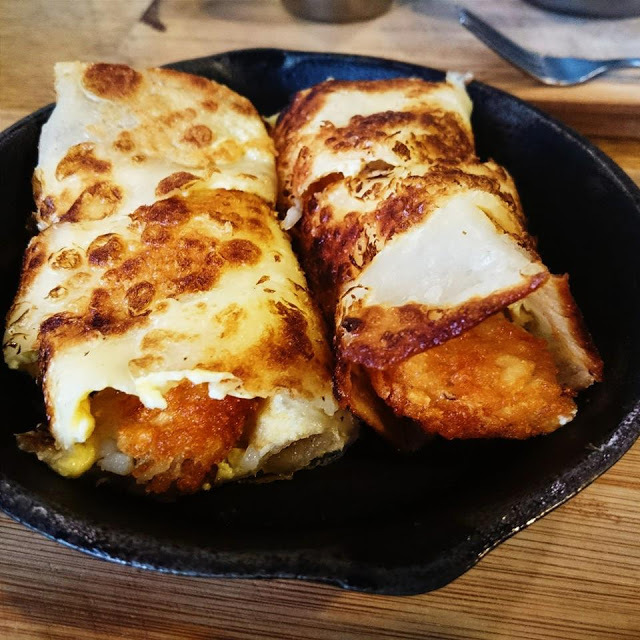 A dilemma that many people encounter while living in Taipei involves you just finished lunch not long ago, and dinner time is still hours away, but your belly is already craving some delicious comfort food to eat. Another scenario: you have a meeting to chit-chat with some friends, but nobody is up for a full, complete meal. Other than regular restaurants, where can you go? 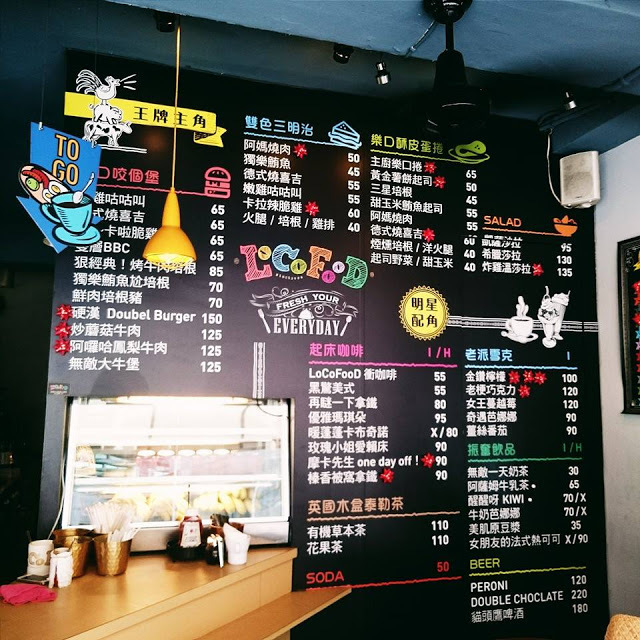 In this article I'll suggest five wonderful afternoon snacks in Taipei City, which you can take into consideration the next time you confront similar dilemmas and scenarios that were mentioned above. With varied kinds of fillings, omelets are one of the essential foods of a Taiwanese breakfast. They're cheap, fast and tasty, thus their popularity lasts as long as legends. But who says we can only have omelets in the morning? The breakfast shop LoCo Food provides yummy omelets everyday from 6am to 2pm. Instead of simply placing the omelets on any old plate, LoCo Food serves omelets on smoking hot iron pans. This featured container not only looks cute, but also keeps the food warm until your last bite. This is a famous cafe specialising in all apricot-related dishes. 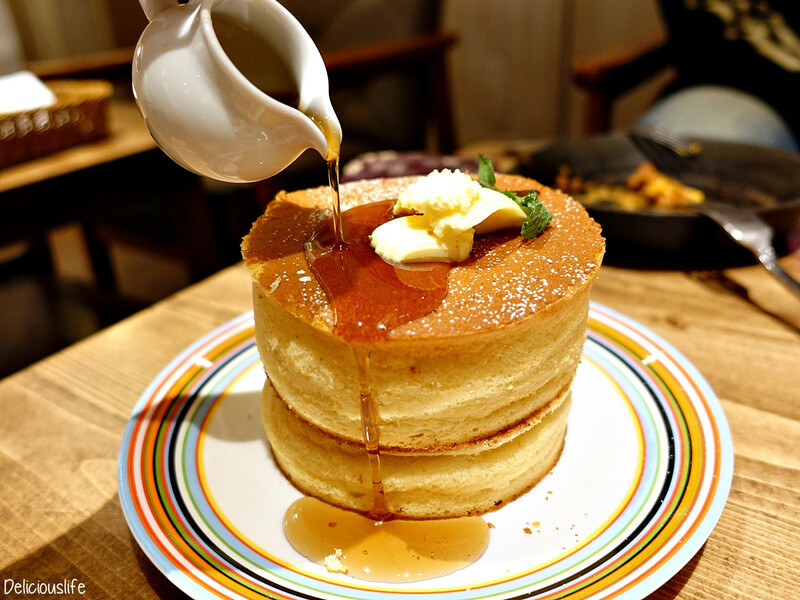 The most recommended dish is their ultra thick pan cakes. 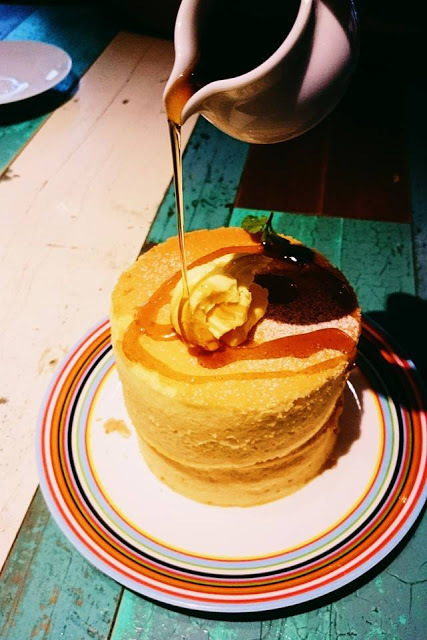 The cakes are still hot and humid when served, and their gentle butter taste matches perfectly with the fragrant honey. You can't imagine how delicious they are until you try them for yourself! Another dish I recommend from Uzna Omom is the shaved ice with apricots. 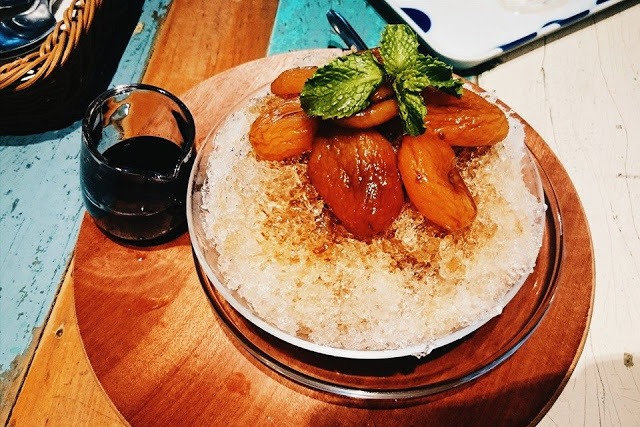 The ice has a slightly sour and sweet taste and when mixed with juicy apricots, it completely revitalises you from a sultry and lazy afternoon. Opening Hours: 11am - 11pm* Strongly advised to call UZNA OMOM beforehand to book seats. Sometimes it's unreasonably packed. Every culture has certain foods that symbolise childhood and end up being nostalgic. 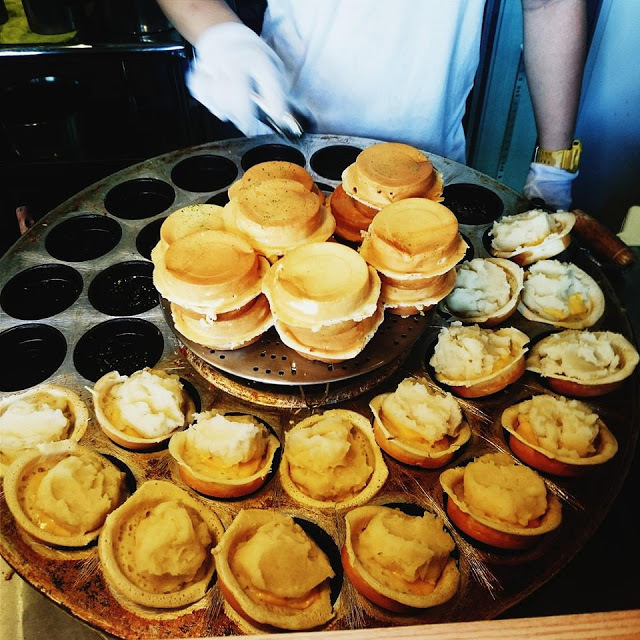 In Taiwan, the wheel pie, usually sold from wheeled carts, is one of these traditional snacks. 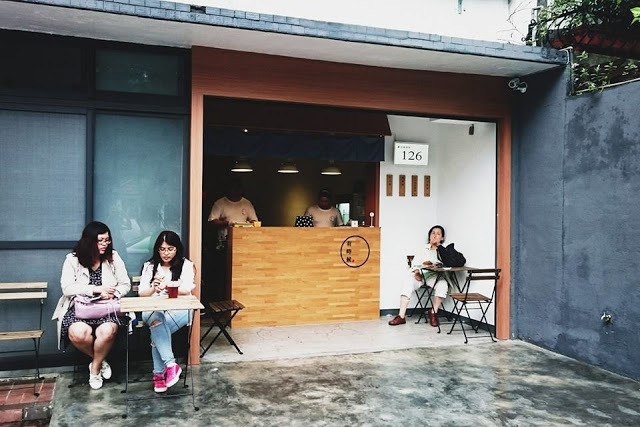 The wheel pie shop "Sometimes" ( 有時候 ) is located in a hidden corner of the city. It provides only three simple but yummy flavours: cream, red bean and cheese and potatoes (salty). Other than wheel pies, you can also buy a bottle of traditional black tea to match with your afternoon snacks. Just wanting something light and fresh to gobble down quickly that will also satisfy your demanding stomach? 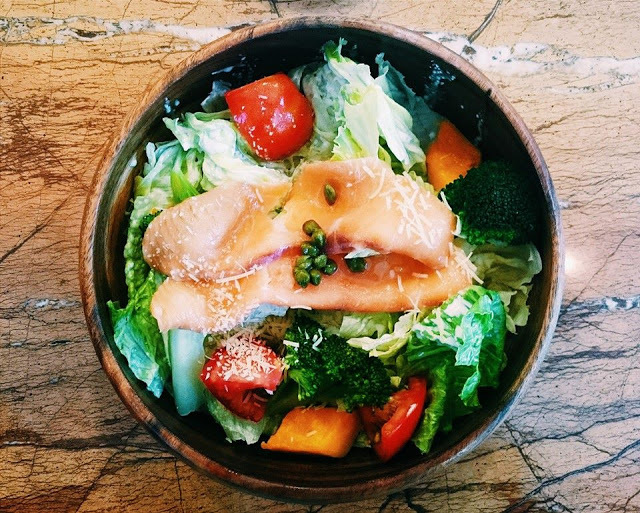 A bowl of assorted fresh vegetables and smoky salmon could be one of the best choices! Moreover, this shop is conveniently close to the Shi Da Night Market area ( 師大商圈 ). After your afternoon food trial, you can naturally drift to the night market beside it to continue the adventure of gastronomes. Creme is a Korean brand that invaded Taipei not long ago. 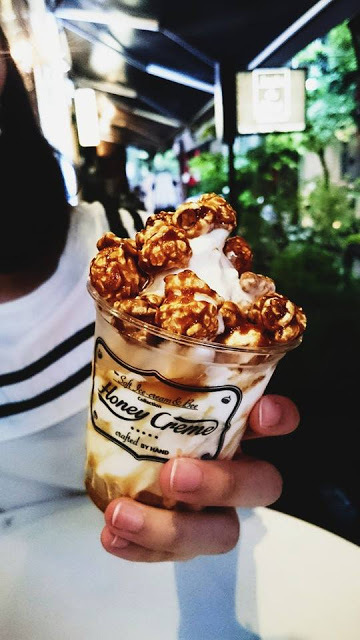 This shop features many fancy dessert combinations based on milk ice cream, such as ice cream with two chunks of honey cake, ice cream with chocolate cookie balls, ice cream with marshmallows, ice cream with caramelised popcorn, and many others. 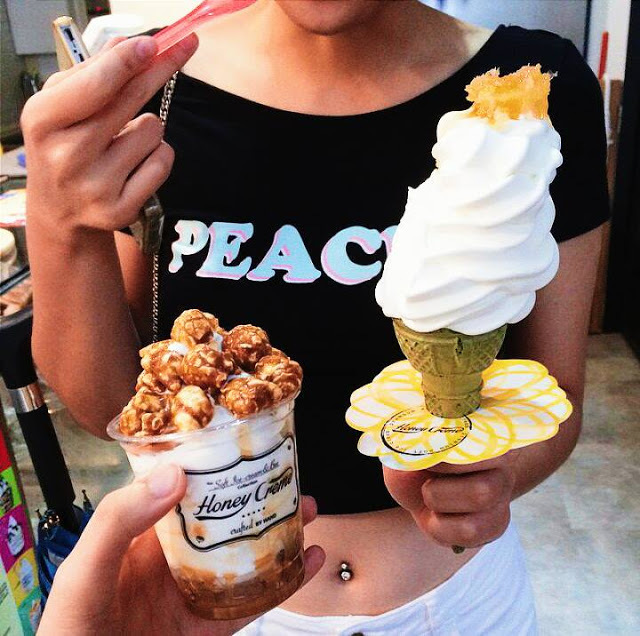 But most popular of all is ice cream with honey comb. The silky milk ice cream is indeed a perfect companion to a piece of raw honey. If you want to experience this heavenly taste, remember to pass by this shop on your shopping tour around the Xin Yi District ( 信義商圈 )! 22. Taiwanese. Being a colorblind doesn't stop me to enjoy arts and life!